The University of Houston Special Collections and University Archives are proud to announce the publication of the finding aid for the Professor Jay K. Kochi Papers. 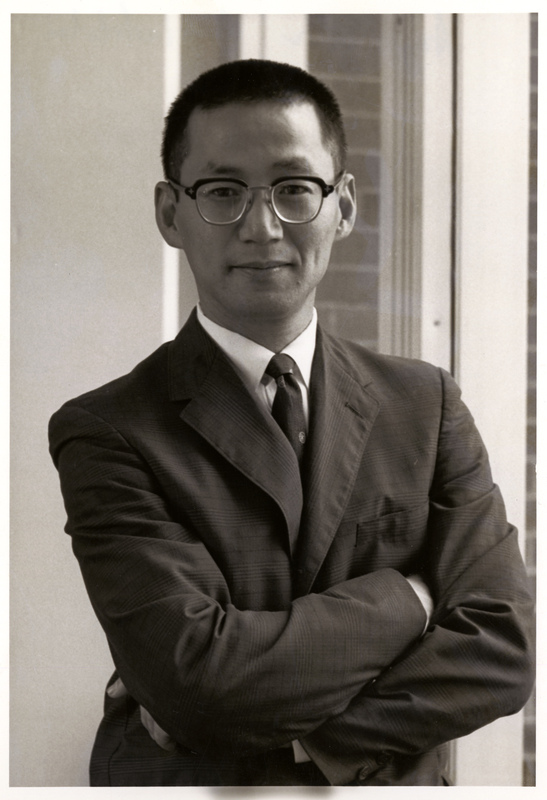 Known as a leader in the field of organic chemistry, Dr. Jay Kazuo Kochi (1927-2008) was born May 17, 1927 in Los Angeles, California. As WWII raged, Kochi’s family was relocated to an internment camp in Arizona when he was 15. Kochi would graduate high school in the camp before studying at UCLA (Bachelor of Science, 1949) and Iowa State (Doctorate, 1952). He worked as an instructor at Harvard (1952-55) and completed a fellowship at Cambridge (1955-56) before going to work as a research scientist in exploratory chemistry for Shell Development Co. (1956-1962). Kochi would later return to academia, holding positions at Case Institute of Technology (or Case Western Reserve), Indiana University, and finally arriving at the University of Houston in 1984. Best known for developing a one-carbon oxidative degradation of carboxylic acids known as the Kochi Reaction, his career is marked by accolades and recognition. A member of National Academy of Sciences, Professor Kochi was also a recipient of the Alexander Von Humbolt U.S. Senior Scientist Award, the American Chemical Society’s Arthur C. Cope Scholar Award, and the James Flack Norris Award. Inquisitive to the end, Kochi’s continued to contribute his research findings in the field of organic chemistry until his death in 2008 at the age of 81. The University of Houston Special Collections is honored to offer a home for Dr. Kochi’s papers. As a part of our larger University Archives, the Professor Jay K. Kochi Papers will stand beside the collections of other professors and luminaries who have helped define and guide the University. Spanning over 120 linear feet, the collection includes research, correspondence, photographs, and publications penned by Kochi. 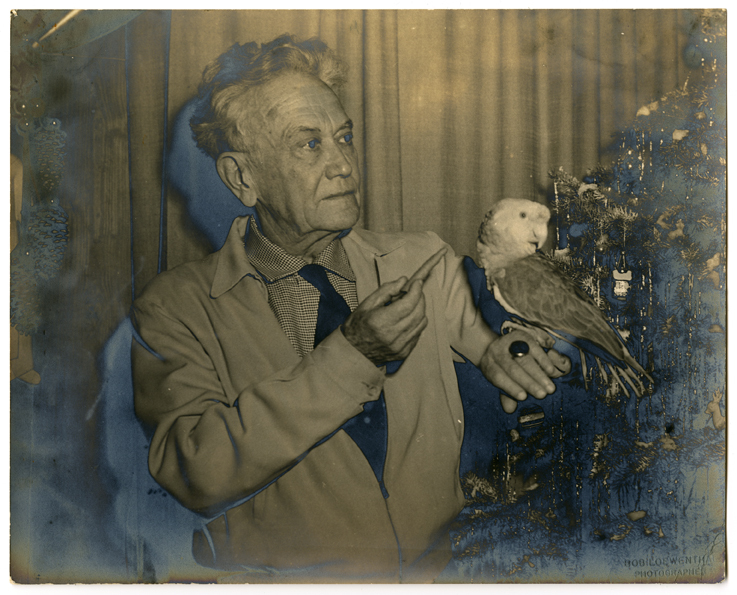 Those interested in learning more about the life and career of Dr. Kochi should visit our new finding aid for a detailed inventory of the materials included in the collection. When you are ready to visit, we look forward to assisting you with your research. The University of Houston Special Collections is proud to announce the publication of a new finding aid for the Herman George Eiden Papers. Sara Wheeler, graduate student intern from the Simmons School of Library and Information Science, has recently completed the processing of the papers, penned the new finding aid, was generous enough to share her thoughts on the new collection below, as well as present some highlights from the collection via a small exhibition currently on display at the entrance to Special Collections, near the Morrie & Rolaine Abramson Grand Staircase. In 1939, 18-year-old Herman George Eiden joined the United States Navy. Like many his age, Eiden had the opportunity to see the world through his service. 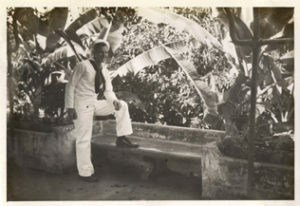 Eiden was able to take photographs of his travels, send letters home, and even film some of his travels. He was able to do this all while aboard the USS Lexington and then USS Houston (CA-30). The University of Houston Special Collections recently received the donation of these photo albums, scrapbooks, films, and letters of Eiden’s for inclusion among the USS Houston & Military History collections. The Herman George Eiden Papers include three photo albums, memorabilia, and clippings that Eiden put together and sent home to his family in Louisville, Kentucky. In the photos, Eiden captured his travels to Panama, Hawaiʻi, Guam, China, and the Philippines. 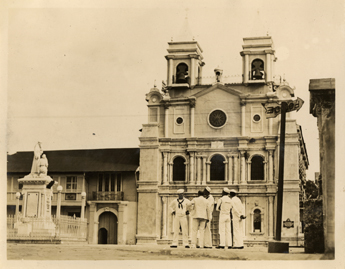 Most of his time was spent in the Philippines, where he and his shipmates were able to take in the local color, enjoying sightseeing trips to places such as Old Manila, Pasig River, and Pagsanjan Falls. The photos include life aboard the USS Houston (CA-30). There are images of Navy sailors swimming off the side of the ship, boxing matches, as well as pictures of the ship’s band. Also included are photos of the changing of command, as Captain Rooks takes over for Captain Oldendorf. Eiden also sent six film reels home. These film reels have all been digitized to allow quick and easy access for contemporary scholars. Along with the reels, Eiden included a narrative log that provides details to correspond with each part of the film. While serving in the Navy, Eiden achieved the rank of Fireman First Class. He was aboard the ship during the Battle of the Java Sea and the USS Houston’s final battle, the Battle of Sunda Strait. Eiden, alongside 692 of his comrades, perished during this attack on March 1, 1942. After the sinking of the USS Houston, it took almost nine months for news of the fate of the ship and her crew to reach home. 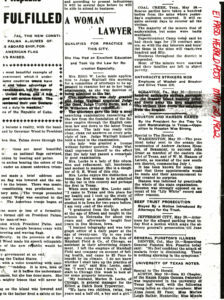 Eiden’s family saved his obituary and news articles about the sinking of the USS Houston (CA-30) that were published in their local newspaper, The Courier-Journal of Louisville. 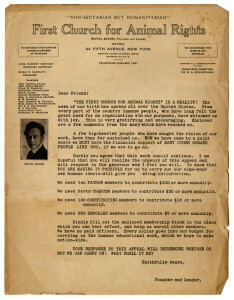 One of his sisters, Clara Imelda Eiden Sivori, also received the USS Houston (CA-30) Survivors Association and Next Generations newsletters, which are a part of the collection. She and other relatives were able to attend the 60th commemorative ceremony in Houston for the USS Houston (CA-30) and those photos are also included in the collection. Those interested in getting a closer look at the Herman George Eiden Papers are encouraged to see it in person by visiting our reading room, as well as visiting the two exhibit cases just outside of the entrance to Special Collections where select materials are on display for a limited time. Finally, those interested in more information on this collection or the Cruiser Houston Collection should contact Christian Kelleher, Head of Special Collections and curator of the USS Houston & Military History collections. Each summer the Immanuel & Helen Olshan Texas Music Festival provides an opportunity for talented young musicians to come together and learn from professional musicians as well as faculty from the Moores School of Music. This year’s festival performances kicked off June 11 and run through July 2. 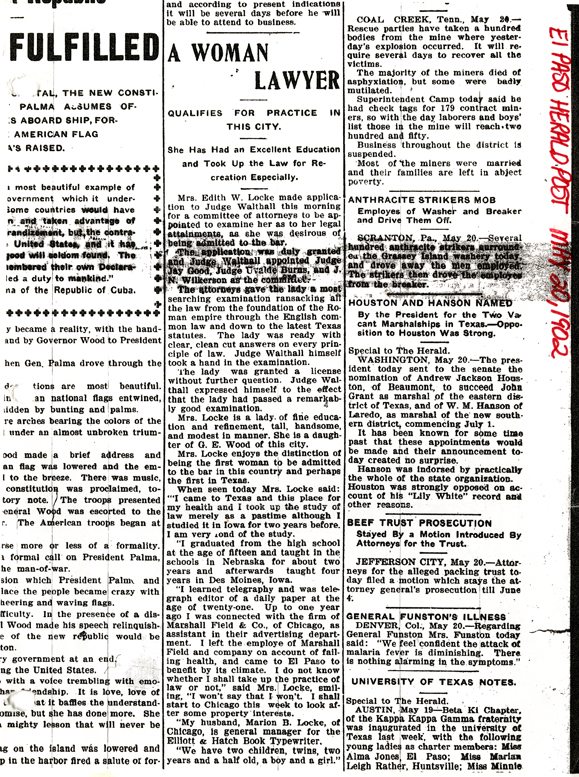 In 2013, the University Archives acquired records documenting the history of this distinctive program. 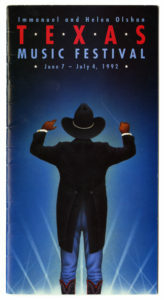 The recently processed Immanuel and Helen Olshan Texas Music Festival Records contain concert programs, publicity and press materials, a scrapbook, as well as concert recordings covering the history of the festival from 1985 to 2013. In addition to documenting a vital part of the city and the University’s musical landscape, the Immanuel & Helen Olshan Texas Music Records also exemplify the changing nature of the archival record, and the challenges repositories face along with it. While the paper portion of the TMF records is comparatively small, the records also include over 200 digital recordings. 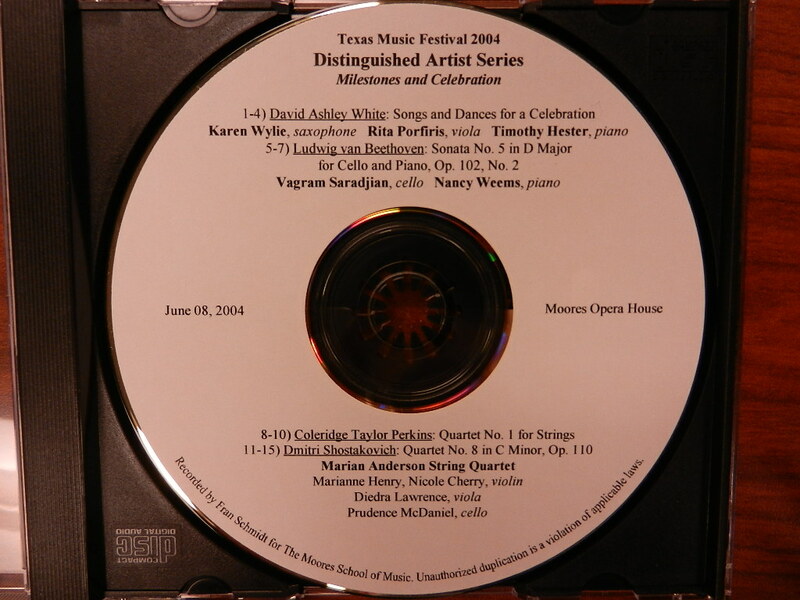 These recordings arrived on CDs, an unstable media not suitable for long-term archival storage. The TMF records arrived just as the department was beginning to explore in earnest methods for accessioning born digital materials and transferring files to secure digital archival storage. As Special Collections has continued to acquire collections containing a variety of digital media formats, we continue to improve our processes for preserving, describing, and providing access to these materials. For now, the digital concert recordings are minimally described in the finding aid with an overview of what is available, including the date range of recordings. 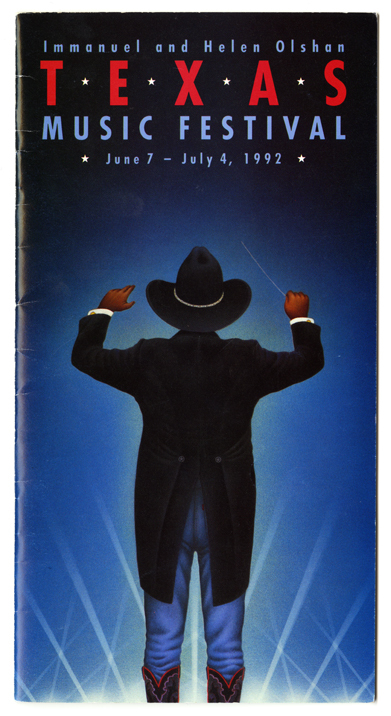 Researchers, performers, or fans wanting to get more detail on the recordings—including dates, soloists and conductors, and pieces played for specific concerts—are encouraged to contact University Archivist Mary Manning with inquiries. With advance request, the concert recordings can be made available for listening on a computer in our reading room. 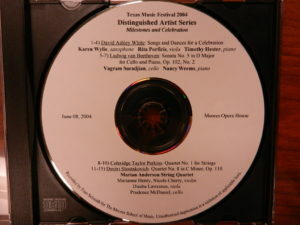 As they record a dynamic cultural and educational event, it is only appropriate that the Immanuel and Helen Olshan Texas Music Festival Records also help orchestrate a transition in the archives to a new era in collecting, preserving, and making accessible our cultural heritage. The University of Houston Special Collections is proud to announce the publication of a new finding aid for the Betty Trapp Chapman Papers. Emily Brooks, Graduate Assistant for the Carey Shuart Women’s Archive, has recently completed the processing of the papers, penned the new finding aid, and was generous enough to share some of her thoughts on the new collection. In 2004, Ellen Elkins Grimes, Chair of the Women in the Profession Committee of the State Bar of Texas was asked to give a speech about the history of female lawyers who paved the way for today’s women in law. She quickly realized that there was very little information available, especially regarding the early female pioneers of the law in Texas. 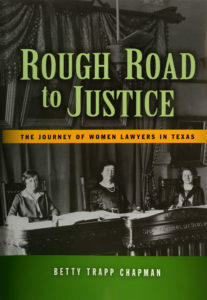 She decided that the State Bar association should sponsor a book on the history of Texas female lawyers and appointed Betty Trapp Chapman, a prominent Houston historian to complete the research and writing of what would become Rough Road to Justice: The Journey of Women Lawyers in Texas (2008). Chapman is the author of several books on Houston and Texas history such as Historic Houston (2011) and Houston Women: Invisible Threads in the Tapestry (2000). 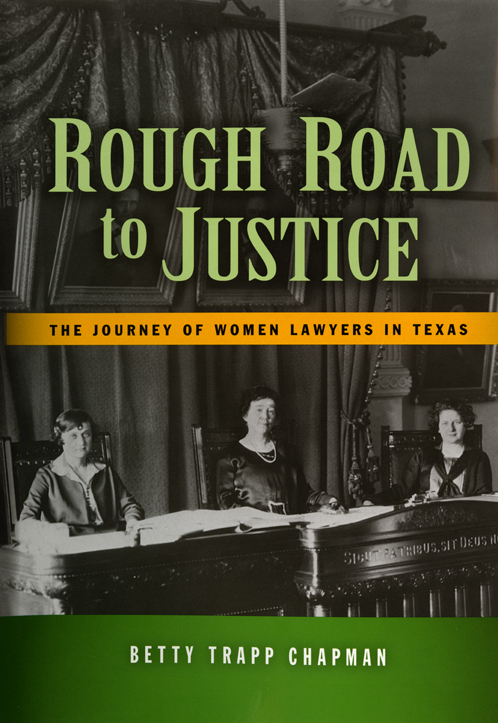 From Edith Locke, the first woman licensed to practice in El Paso in 1902, to nationally prominent Texas women like Sandra Day O’ Connor, Kay Bailey Hutchinson, and Sheila Jackson Lee, Rough Road to Justice tracks the journey of these women as they overcame discrimination and harassment to succeed in the legal profession. Chapman explores broad social issues that impacted women in the legal profession as well as individual trailblazers that made it possible for women to pursue careers in law today. 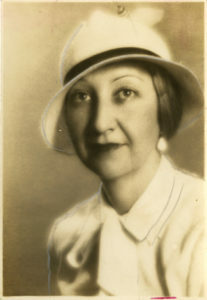 One such woman was Joyce M. Burg, the first woman to practice law in Houston after she graduated from the University of Texas Law School in 1926 – one of only four women in her class. She went on to become the “grand dame of Houston’s family law system,” practiced law for 60 years and founded the Harris County Women Attorneys Association. When she passed away in 1997 at the age of 96, she was the oldest member of the Houston Bar Association. This collection enriches the Carey C. Shuart Women’s Archive and Research Collection with the often-untold stories of Texas women in the law, unique correspondence with these women and their descendants, as well as original photographs of several of the women featured in Rough Road to Justice. For more information, we invite you to visit our reading room where the Betty Trapp Chapman Papers can be explored. The following comes to us courtesy of Elizabeth Barnes, who just wrapped up an internship through the Graduate Program in Public History, for which she processed numerous archival collections including the Royal Dixon Papers. 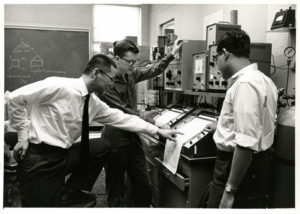 Special Collections at the University of Houston Libraries announces the opening of the Royal Dixon Papers to the public. Royal Dixon was a native of Huntsville where he later attended Sam Houston State University. His academic pursuits continued when he held the status of a special student at the University of Chicago and Columbia University. Dixon’s long literary career began with a post at the Houston Chronicle and continued with many short stories and novels. Nearly all of his writing focused on nature and was characterized by the common theme of anthropomorphizing the natural world. 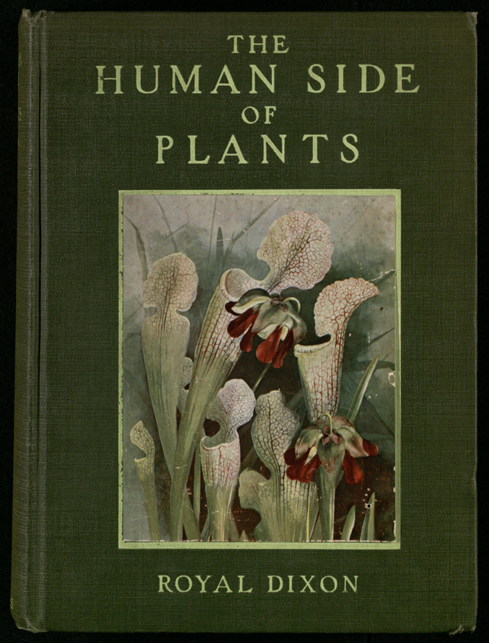 His more notable works included The Human Side of Plants (1914), The Human Side of Trees (1917), The Human Side of Animals (1918) and The Ape of Heaven (1936). Dixon was active in the community and in 1921 he began the First Church of Animal Rights, a short lived group aimed at promoting animal rights. In addition, he wrote on behalf of the plight of immigrants in the United States. Dixon lived nearly all of his adult life with his partner, renowned local artist, Chester Snowden. The relationship was well documented to family, friends, and business associates. After a debilitating car accident, Snowden was able to take over as Dixon’s power of attorney until he had recovered. The collection contains typescripts of several of his publications, personal correspondence, minutes and notes from his philanthropic work, and some of his personal teaching notes as well as some of Chester Snowden’s writings. Also included in the papers are many poignant reminiscences and biographical materials Snowden collected in the wake of his partner’s death in 1962. 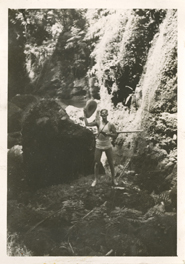 The Royal Dixon Papers make a unique contribution to our Contemporary Literature Collection, providing insight into the naturalist preservation efforts in Houston during the first half of the Twentieth Century, as well as the LGBTQI community during the same time. For further information please consult the newly available finding aid. All of Royal Dixon’s original materials can be viewed in our reading room.